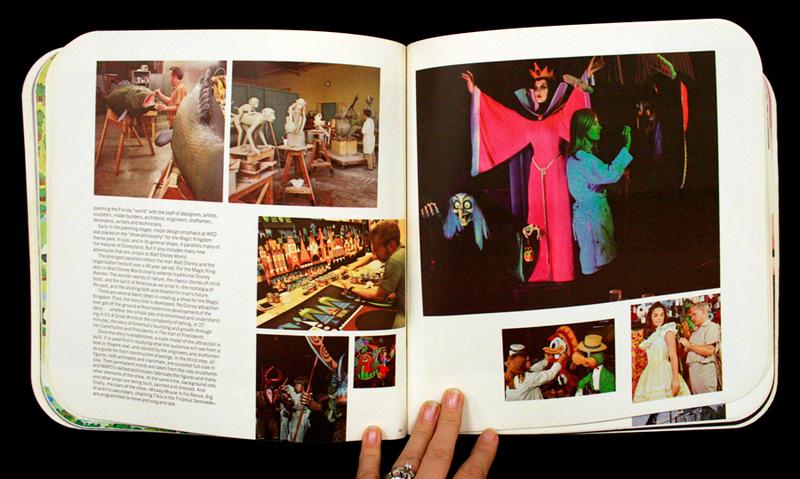 I spend most of my Mondays at Art Center directing students to designers or artifacts that might be inspirational. 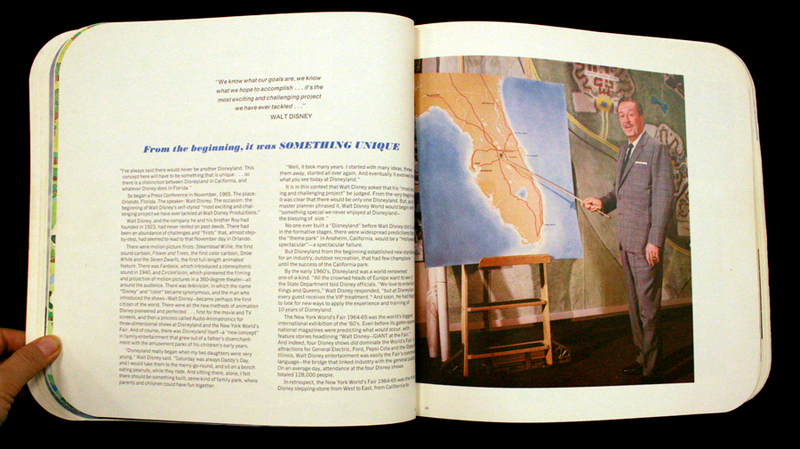 Last week, Ladislav Sutnar was the designer du jour. 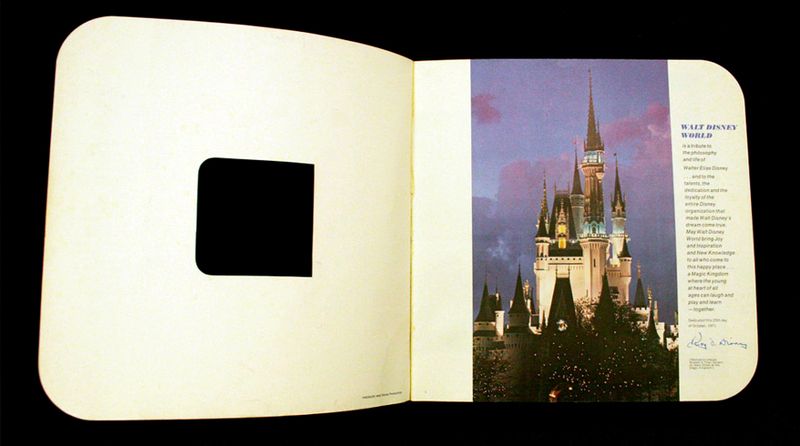 The week before, I relentlessly shoved Josef Müller Brockmann down everyone’s throats. This is great to help someone see another way of making or seeing. 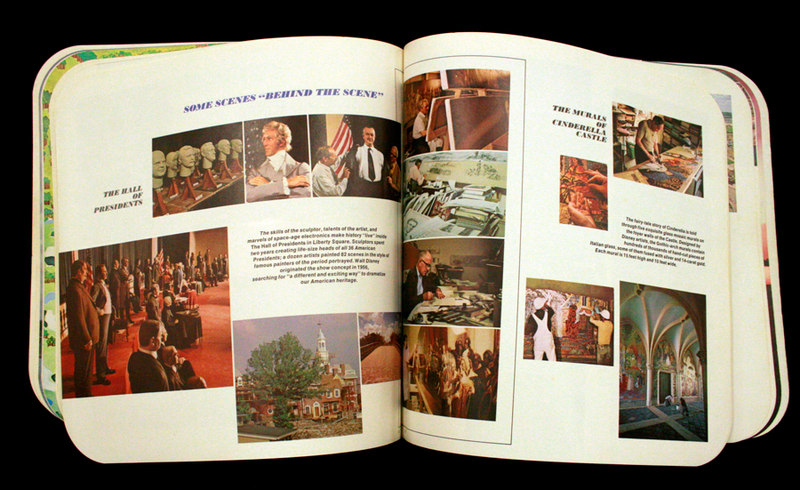 But, I treasure the artifacts that are rarely designed by a historically recognized designer. For example, I love my father’s Class of 1963 Directory for Wesleyan University, and an old hangover remedy pack from Harold’s Club. 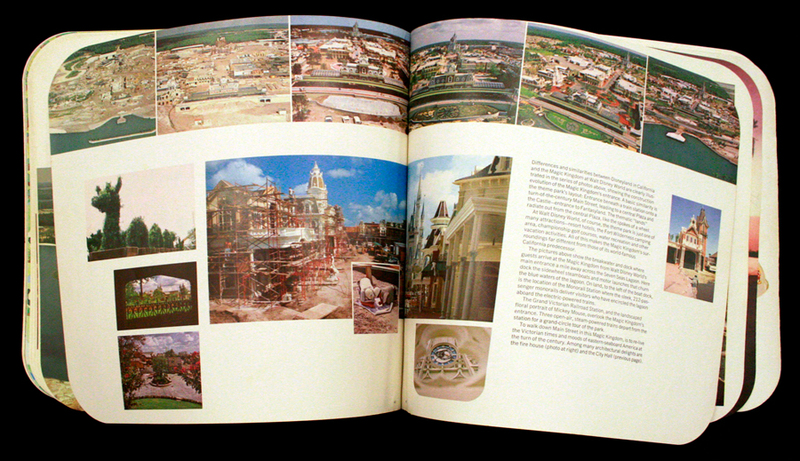 I love this Story of Walt Disney World book. 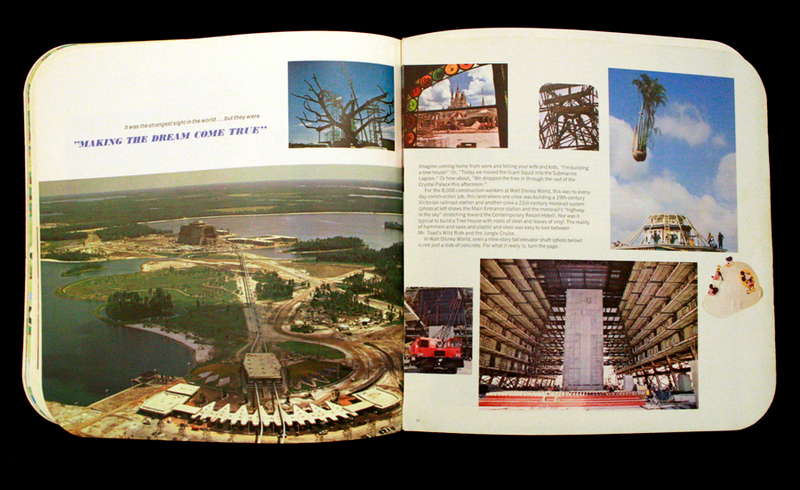 The design is clumsy and has a remarkably odd composition, but it’s optimistic. I love the vignettes and detail images. 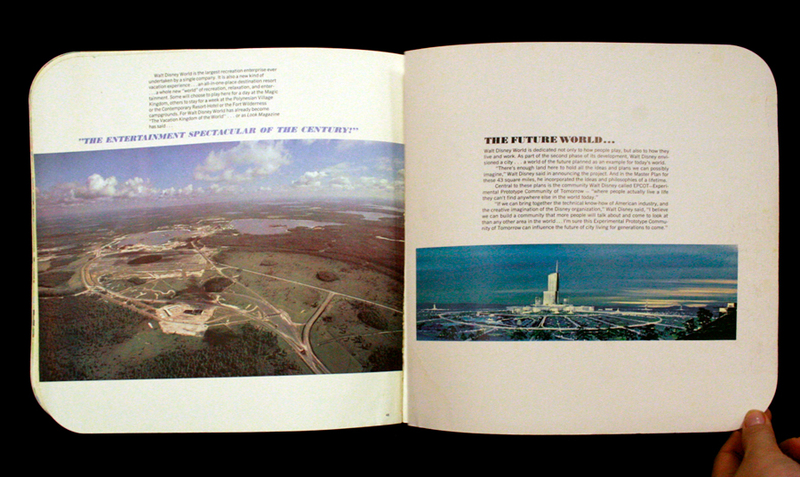 This Commemorative Edition booklet was created soon after Walt Disney World opened in 1971. I love the map. 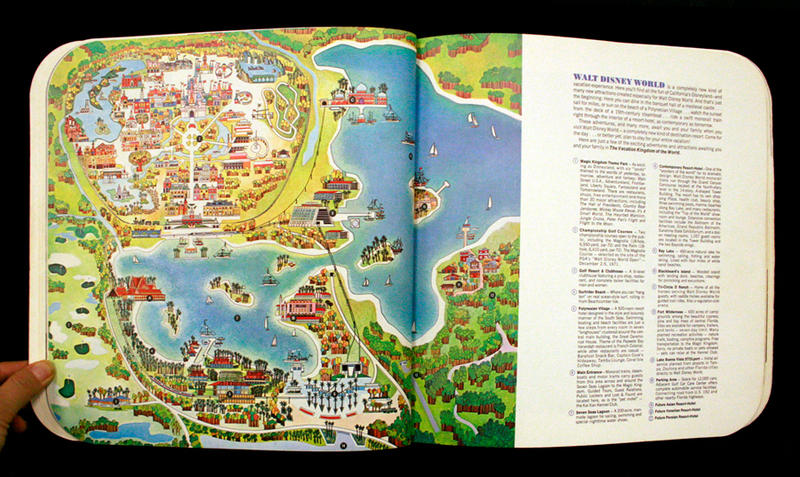 There is an attraction in Frontierland, Thunder Mesa and Western River Expedition, meant to take the place of Pirates of the Caribbean. Since the actual Caribbean was so close, there was a concern that Pirates would seem redundant in Florida. 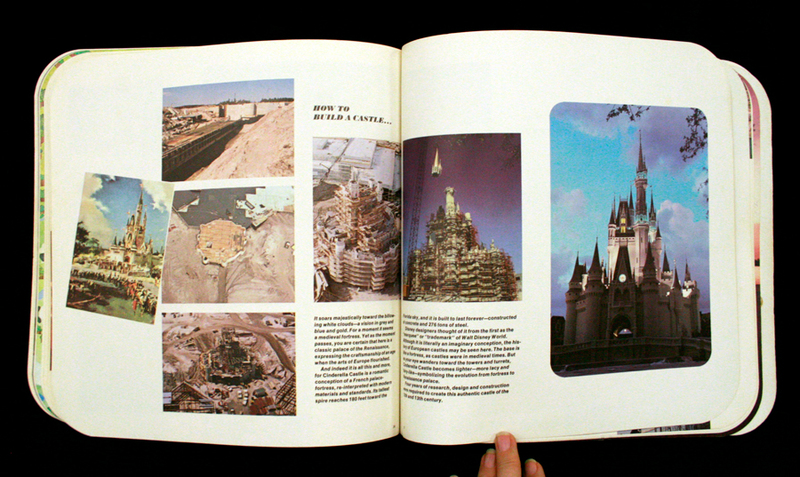 In the end, Pirates was added to WDW, and Thunder Mesa was replaced with Big Thunder Mountain. 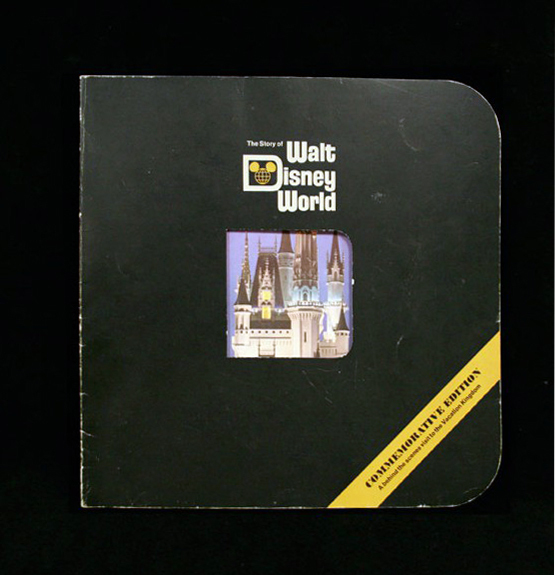 I’ve owned this booklet for fifteen years, only yesterday, did I notice it made the shape of the “D” in the old Walt Disney World logo. Oh yeah, I’m observant.